It seems 'Closet Rock' is the second release from Canadian singer/songwriter Tim Bertulli under the Dyslexic Love banner but if this CD is anything to go by then I was lucky enough to miss the debut. The band's biog mentions such legends as Ritchie Blackmore, Keith Richards, Joe Satriani and Edward Van Halen so I'm just wondering if Bertulli is blowing his own trumpet as those artists bear no resemblance to anything I've just been listening to. 'Closet Rock' contains 14 songs that have left me wondering after several plays how better I could have spent my time. I don't like giving bad reviews but am honest enough to say when something does not appeal to me. 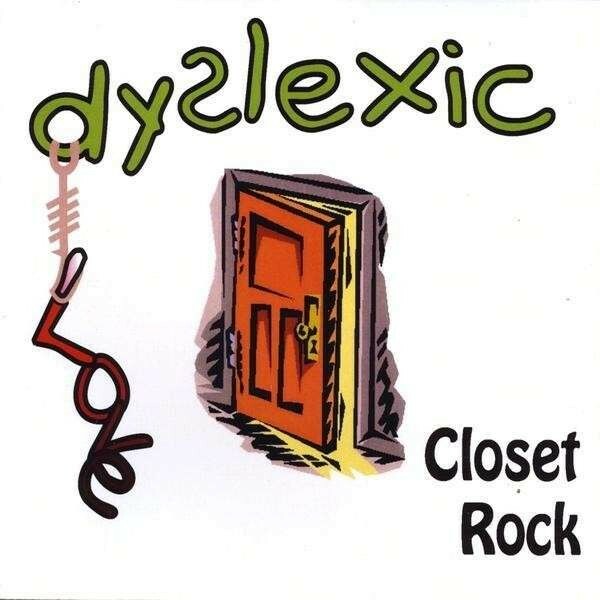 The Dyslexic Love sound I guess can be described as straight ahead no frills rock music with the emphasis on guitar. Unfortunately it is more a case of some nice guitar solos in search of a decent set of songs. The odd stolen Van Halen riff and lacklustre musical structures highlight the album's inadequacies and Bertulli's vocal performance can be described as average at best. The material is unimaginative and repetitive, devoid of any real quality or identity. The uninpiring lyrics only add to Bertulli's amateurish singing and though one or two guitar solos do have a spark of creativity I'm left wondering who they can be credited to as another guitarist, Klement Danda, is mentioned in the album's sleeve notes. I appreciate that there is an awful lot of talent that goes unrecognised and overlooked when some bands are afforded larger budgets for their CDs and promotion but that will never change if the market is saturated with too many poor quality releases such as this. I'm afraid 'Closet Rock' will disappear within a sea of mediocrity, amongst the schedule of more noteworthy albums, but in my opinion that is not really such a bad thing. Music by numbers ... with an awful lot of numbers missing!